C. Clair Claiborne is a senior member of the Institute of Electrical and Electronics Engineers and the Society of Plastic Engineers. 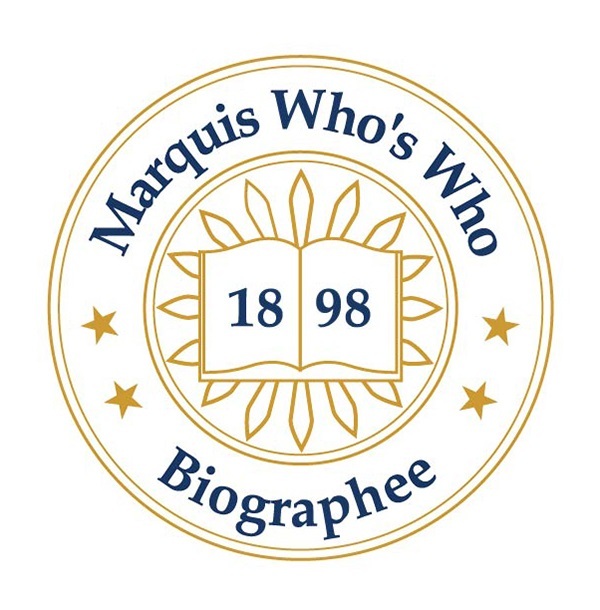 RALEIGH, NC, September 25, 2018 — Marquis Who's Who, the world's premier publisher of biographical profiles, is proud to present C. Clair Claiborne, PhD, with the Albert Nelson Marquis Lifetime Achievement Award. An accomplished listee, Dr. Claiborne celebrates many years' experience in his professional network, and has been noted for achievements, leadership qualities, and the credentials and successes he has accrued in his field. As in all Marquis Who's Who biographical volumes, individuals profiled are selected on the basis of current reference value. Factors such as position, noteworthy accomplishments, visibility, and prominence in a field are all taken into account during the selection process. Dr. Claiborne is a polymer materials scientist who recently established his own business, Claiborne Consulting, LLC in North Carolina in 2017. Lending his expertise to his many successes in the industry, he formerly spent 26 years with ABB Inc. in Raleigh, N.C., first as a U.S. environmental specialist between 2000 and 2011 and then as a principal consulting research and development scientist between 2002 and 2017. ABB is a global leader in power and automation technologies that provide products and solutions to improve performance while lowering environmental impact. Dr. Claiborne has also spent many years employed with Westinghouse Electric, now known as ABB Power T&D Company Inc., as a senior scientist between 1984 and 1991, among other reputable organizations during his four-plus decades in the industry. During Dr. Claiborne's tenure at ABB, he played a significant role in the materials standards and testing. One of his biggest achievements was the invention of BIOTEMP, a biodegradable vegetable oil used to deliver high performance power transformer insulation. BIOTEMP offers significant environmental, fire safety and operational advantages over mineral oil and other alternative insulating fluids. In 2002, Dr. Claiborne was the recipient of the Regional Innovation Award for this invention by the American Chemical Society, and in 2000, he was the co-recipient of the IR Award for the Invention of BIOTEMP. Dr. Claiborne notably invented the BIOTEMP alongside his colleague, Dr. T.V. Oommen. The author of “Working with Medals” in 1981, Dr. Claiborne has also contributed more than 75 articles to various peer-reviewed journals in his area of expertise. He holds 10 U.S. patents, as well as four European patents. Likewise, Dr. Claiborne earned a Bachelor of Arts in chemistry from the University of Kansas since 1973 and a Doctor of Philosophy in materials science and engineering from Northwestern University since 1984. Dr. Claiborne is currently a convener for the International Electrotechnical Commission PT62975 for Natural Ester Use and Maintenance since 2014. He is a senior member of the Institute of Electrical and Electronics Engineers and the Society of Plastic Engineers and an elected fellow and former chairman of the American Society for Testing and Materials. Furthermore, he maintains membership with the American Chemical Society, the International Council on Large Electric Systems and Alpha Kappa Lambda. To honor his dedication to the field, Dr. Claiborne has been featured in the 25th edition of Who's Who in the East and in the eighth and ninth editions of Who's Who in the World. In recognition of outstanding contributions to his profession and the Marquis Who's Who community, C. Clair Claiborne, PhD, has been featured on the Albert Nelson Marquis Lifetime Achievement website. Please visit www.ltachievers.com for more information about this honor.